Soft, elegant, sophisticated and contemporary... This bed set beautifully sums up all the adjectives. A Cyrillus design. Same front and back. Golden piping (pink option), envelope style (blue option). Buttoned fastening at the back. Machine washable at 40°C. 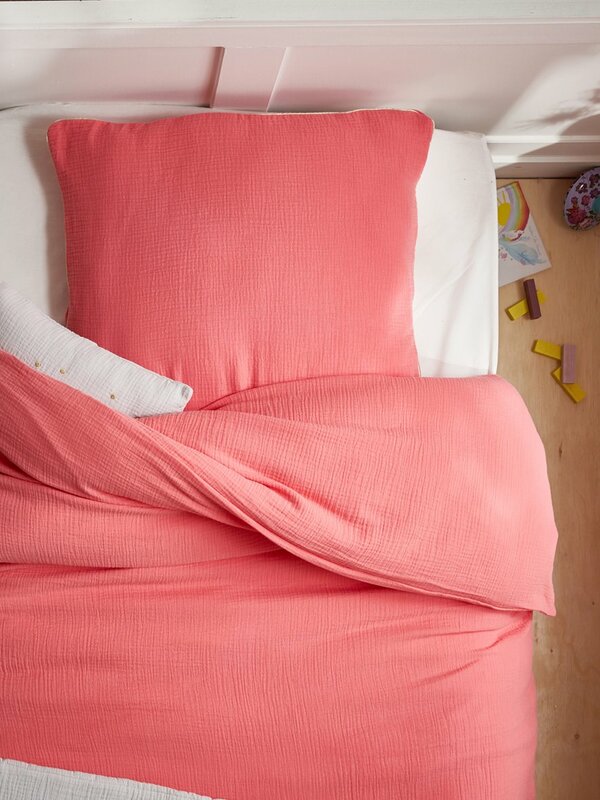 For a super-soft feel, we recommend tumble drying this pillowcase. This product has the Oeko-Tex® standard 100 (CQ1118/1) certification. This label guarantees the absence of harmful substances that could damage your health or the environment.